Please see complete details of this boat on THE Chaparral BOATS FOR SALE BY OWNER WEBSITE www.BoatsForSaleByOwners.net/96390. 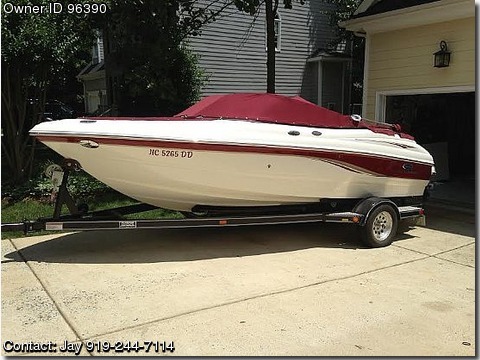 Please contact boat owner Jay at 919-244-7114. It has ony 138 hours on the Volvo Penta, AM/FM/CD w/aft controls, Bimini top, cockpit cover, full canvas, snap out carpet, depthfinder, full gauges, Fire buoy halon, hydraulic steering, storage, swim ladder, single axle trailer w/ spare rim, 2 spare props, original owner, prof. maintained, stored indoors .